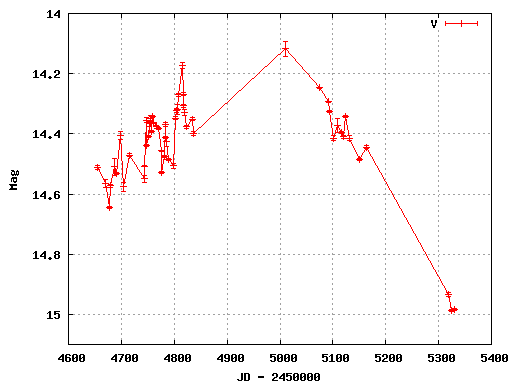 We update the light curve of SN 2010db. The variation seems to be small. We update the light curve of Type II SN 2009ls. 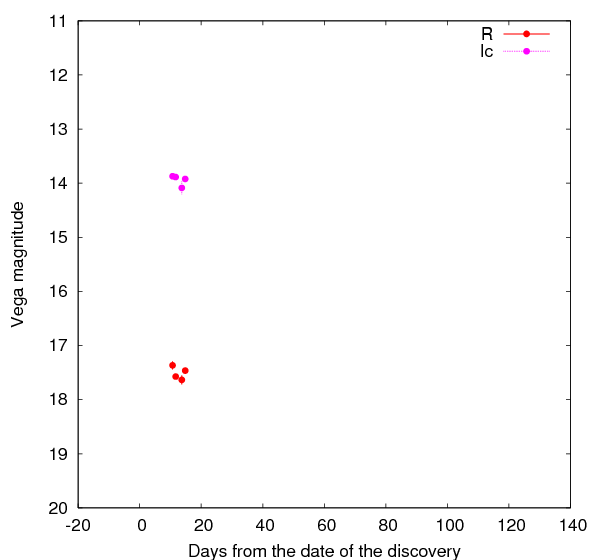 The observations have been passed 200 days since we had started observations of Type II SN 2009ls. 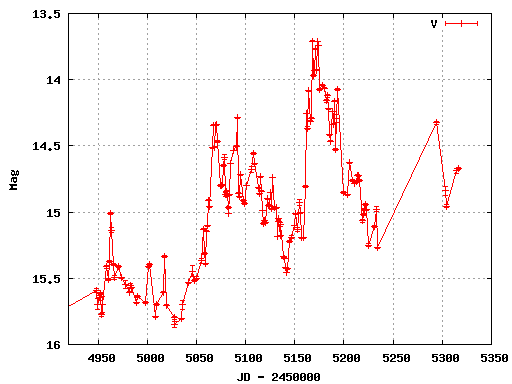 We update the light curve of SN 2010db. 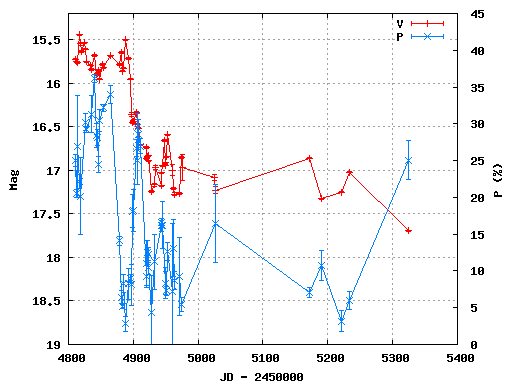 We have started the photometric observations of SN 2010db in optical wavelength. This SN is discovered of 15.2 mag near the apparently small galaxy PGC 1895764 using an unfiltered CCD. We obtained the BVRcIc-band imaging of this SN on May. 26.6 (UT) using HOWPol intalled to 1.5m-Kanata telescope. The magnitudes were obtained as 17.3 and 13.8 mag in Rc and Ic band, respectively. The object is too faint to perform the photometry in B and V band. The very red color indicates this SN would be suffered the large extinctions from the dust in the host galaxy. Alternatively, this object may be possible pulsating variable star. We update the light curve of Type IIb SN 2010cn. 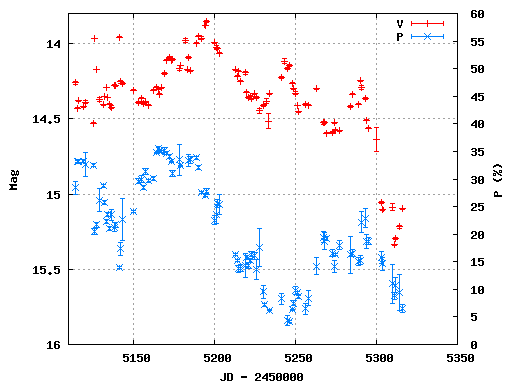 We update the light curve of sub-luminous Type Ia SN 2010cp. The light curve shows the nomotonic decline in all bands. SN 2010cp was discovered of 17.5 mag at May.9.85 by K. Itagaki (reported in CBET 2276). We have started photometric observations after receiving the report since May.12 UT. 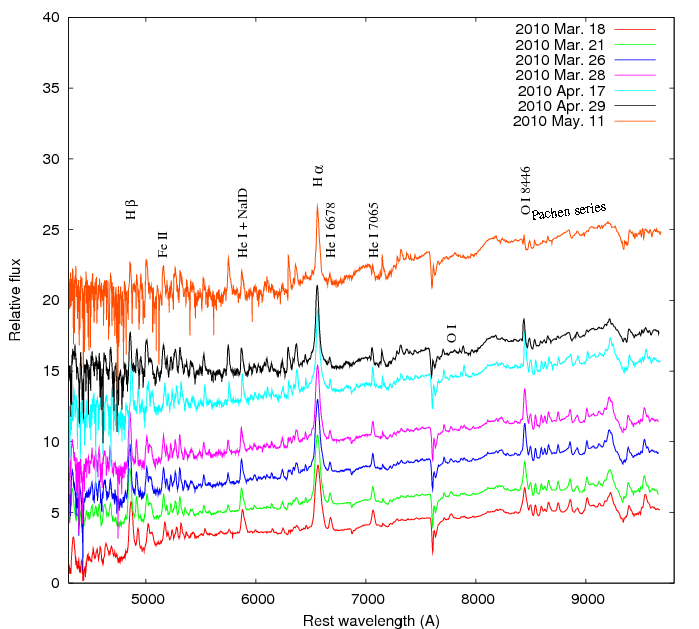 The spectroscopy was performed at May.15 by Challis et al. and this SN was classified as sub-luminous Type Ia SN (= 91bg-like event) at around maximum (CBET 2282). The decline rate of a sub-luminous event would be very fast comparing to that of a normal event. In current theoretical model, the faint luminosity cannot be reproduced by the typical mass of 56Ni, which is synthesized in a white dwarf (Kasen, Ropke and Woosley 2009). In order to derive the decline rate, we will perform the photometric observations of SN 2010cp. The figure shows the light curve and the temporal variation of the polarization degree of RXJ 1542.8+6129? in V band. The flux of the object was variable and the amplitude of the magnitude in the range of the figure was about 0.6 mag. The object has, recently, been bright. The polarization degree was from 0 to 12 %. The figure shows the light curve and the temporal variation of the object in V band. The object had been bright from JD 2455220 to 2455310. The amplitude of the magnitude for this term was about 0.6 mag. After JD 2455310, the object has been faded. On the way of fading, the polarization degree had suddenly been high to 8 % in JD 2455323, and the polarization degree became low. 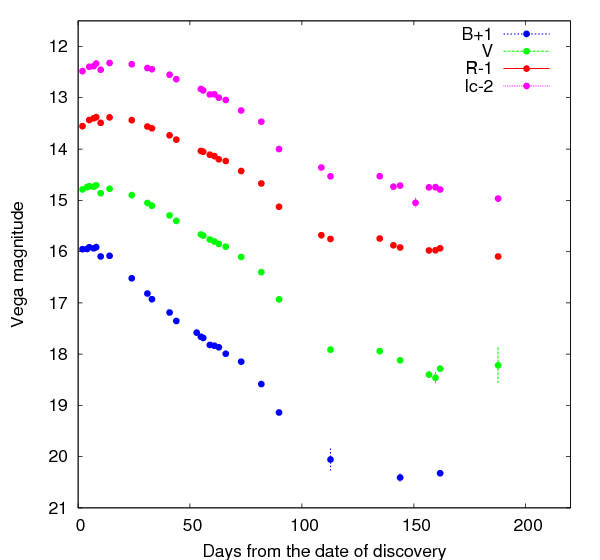 We update the light curve and the temporal variation of the polarization degree of the object in V band. The object has been faint since JD 2454920. The polarization degree has become high in the latest data, about 25 %. We update the light curve of the object. The object has been faded since JD 2455000, and the amplitude of magnitude was about 0.85 mag. 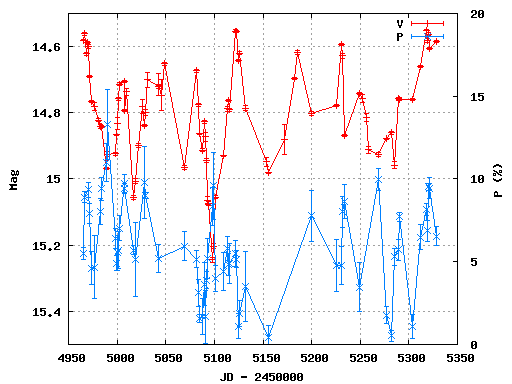 We newly obtained the spectrum of symbiotic nova V407 Cyg on May.11. The continuum became the redder comparing to the previous phase. The development of the redder region indicates that the radiation began to be affected from Mira-like secondary star. We performed the photometric observations of Type IIb SN 2010cn. 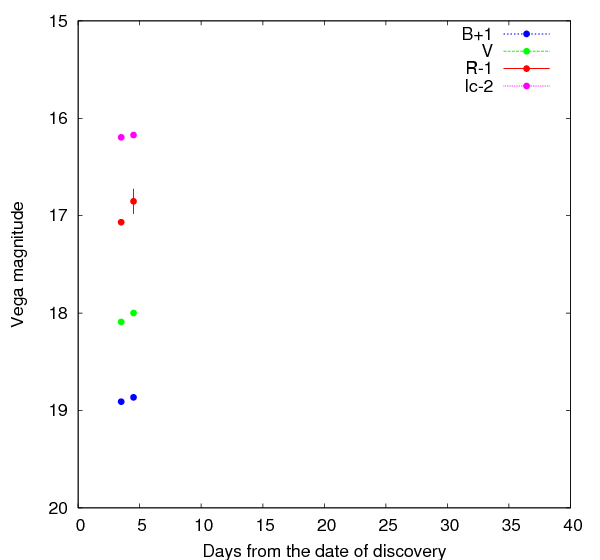 The spectroscopic observation was performed by Marion et al. (2010), reported in CBET 2270. This supernova was identified as Type IIb from the broadened HeI5876/NaID and H-alpha with blue continuum in its spectrum. It indicates that this SN evolved in the early phase. Our photometric results show the increasing the luminosity. They are corresponding to the phase speculated by the spectroscopy. We newly obtained the spectrum of Nova Sgr 2010 No.2 on May. 4. The OI 8446 line shows a strong feature and complex profile with several small peaks. The profile indicates that the expanding wind is comprised of the multiple aspherical and spherical shells. 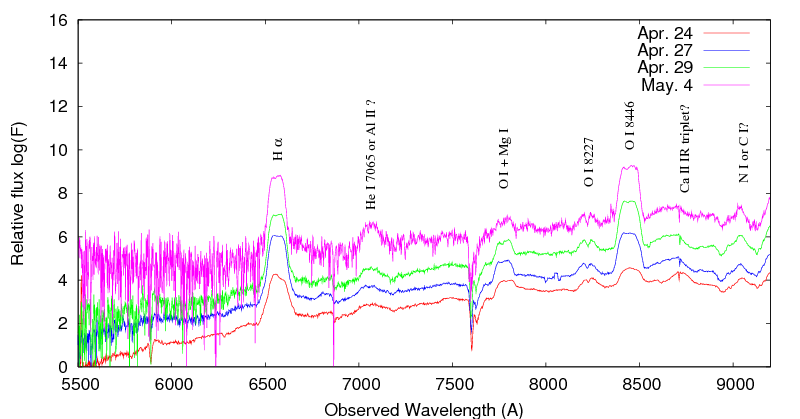 The red-side peak of H-alpha become strong comparing to that seen in previous spectrum. This phenomena also supports the asphrericity of the expanding shell. We update the data of 3C 454.3. The object has been still bright since the starting of our observation in 2010 season. 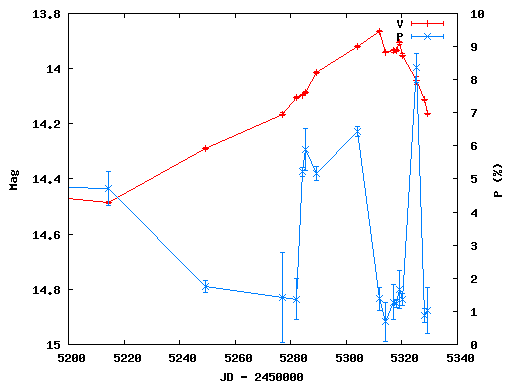 We update the data of OJ 287. The object has been faint. The polarization degree of the object in V band was about 5 %.